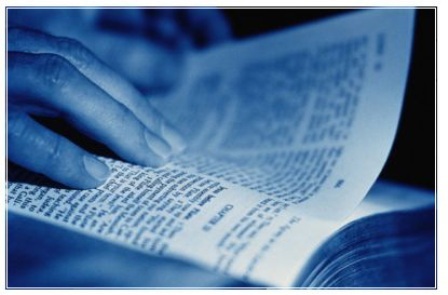 The ancient practice of lectio divina is one method of listening for God’s Word in the words of Scripture. While many of us are used to traditional methods of Bible study where we consider context, intent, culture and meaning, lectio divina changes our concentration from these ways of thinking about Scripture to ways of listening to Scripture. As we listen to Scripture, we allow Christ the Word to come to us through the words we hear. What word or phrase touches my heart or catches my attention? The group takes 1 – 2 minutes of silence while each member ponders the word or phrase. Then each person shares the word or phrase that caught her attention. There is no discussion or criticism, but simply sharing. How does the word or phrase that caught my attention touch my life today? The group takes 1 – 2 minutes of silence to ponder this question, then each group member shares his answer. What is Christ in this text calling me to do or become, today or this week? The group finishes with prayer, each person praying for the person on his or her right. Make yourself comfortable and allow yourself to become silent, by focusing on your breathing or by repeating a simple prayer phrase. Read the passage, slowly and aloud if possible. Listen for the word or phrase with which God is touching your heart. Take the word or phrase into yourself, pondering it gently. Spend a few minutes with this word in silence. Repeat the word or phrase to yourself, beginning to meditate on it. Allow yourself to experience thoughts, memories and emotions associated with the word. Begin to speak to God about what you are experiencing as you meditate on the word or phrase: memories, feelings, worries, confessions, thanksgivings. Return the word or phrase to God as a blessing. Finally, rest in silence, knowing that God’s presence is surrounding you. Spend some time in God’s presence, allowing God to hold you in his embrace.